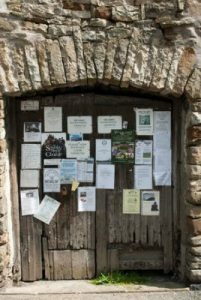 Dent Brewery is one of the most remote breweries England, located in an old, white-washed farmhouse close to Cowgill in upper Dentdale. 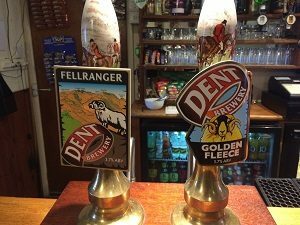 Tours of the brewery are not available; however, a wide range of the beers produced there are available at the brewery-owned George & Dragon in Dent village, which is considered to be the ‘brewery tap’ – the best place to enjoy a selection of the brewery’s ales. All the water used in brewing the Dent beers comes from the farm’s own natural spring up on the fellside, with malts and hops sourced from notable UK producers. The beer names and branding lean heavily on the sheep farming heritage of the region (Rambrau, Ramsbottom, Golden Fleece and Ewetopia) along with the classic Dent Porter, a dark and robust beer with its name in reference to the nearby railway station on the Settle-Carlisle line and the highest mainline station in England. Dent Brewery’s beers can now be enjoyed throughout the UK with many supermarkets, independent and online retailers selling the drinks to a growing audience of beer drinkers who are keen to discover and support the nation’s craft brewers.